In the past, Portal 2 allowed for players to set a countdown clock or point at markers to enable “chat” between players who were playing cooperatively online without microphones while still having clear indications of what the player intended. Journey allows players to choose how and even if they want to communicate with the randomly selected player they cross paths with. In a game that is so out of the box with how a game is looked at, developed and experienced, it is refreshing that it continues that trend with the way it handles communication between its players as well. When first stepping into the world of Far Cry 3 (after the whole incident of having your brother killed in front of you after escaping a hostage situation), players will notice the beautiful scenery of the tropical paradise. What they will quickly find out though is that everything on this damn island wants to kill them. Rabid dogs. Wild boars. Tigers. Komodo dragons. At random, players will turn around and find something is looking to eat them. Whether they are off hunting or about to sneak up on the pirates of the island, players will get attacked unexpectedly by some very angry wildlife. Fortunately, players will find they aren’t the only targets for the ticked off fauna. 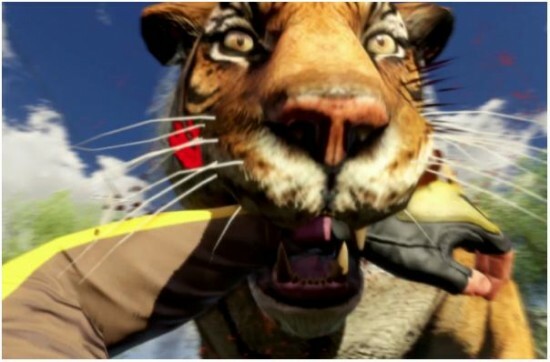 The animals in Far Cry 3 will take out their anger on other animals as well as some of the pirates. There are times when a natural turn of events can actually affect the outcome of a battle. When hunkered down under fire, players may be saved by an errant tiger that wanders into the right place at the right time. The lesson learned: Even when you think you are the hunter, something is still hunting you. Everyone knows Super Mario Bros. and everyone knows Portal but people would never expect the combination of the two. 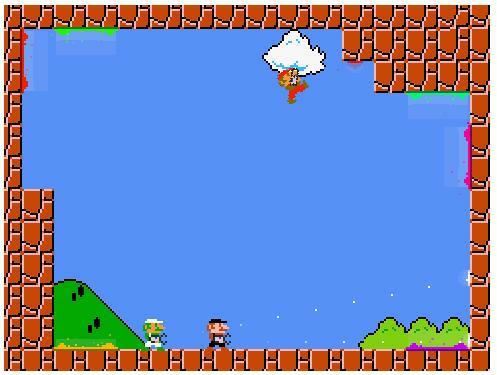 Giving Mario a portal gun however is a fun addition to the classic franchise even though it isn’t essential to changing the way you play the game and complete the levels. The true fun of Mario comes from multiplayer and making your friends absolutely miserable. Having four friends with portal guns spells trouble as players inevitably will start shooting portals in the wrong place making their friends drop to their deaths… or have a goomba fall on top of them… or launch them into a lava pit… or get a friend stuck into an infinite loop. And instead of working together, cooperation quickly devolves into chaos as players begin to do whatever they can to quickly kill their friends off and leave them in their dust. Mari0 sessions can turn into an incredibly fun and frustrating screaming matches, especially when teamwork is needed to complete the level and one person is just looking to mess with everyone else. When it was announced, the mobile gaming world let out a cheer as if millions of voices suddenly cried out in excitement and then suddenly passed out. 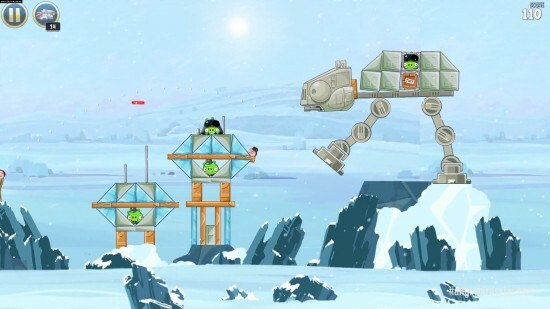 This is far from the first time Star Wars has entered the gaming world but this is the first time it was combined with a relatively new property like Angry Birds. While Angry Birds has proven itself a profitable and successful property, it hasn’t proven the long term appeal of Star Wars. Being the third release from Rovio this year and second new Angry Birds property this year, there was trepidation from some about whether another Angry Birds would sell. Well it did. Not only did it sell but the team at Rovio was able to combine the charm of Star Wars and create new gaming mechanics that incorporated the personalities of the epic franchise with their world of Angry Birds. Using a lightsaber as Luke or shooting a blaster as Han are both fun but it’s the true Star Wars moments like the Stormtrooper pigs taking themselves out by firing as they fall or shooting off reflective surfaces and shooting themselves that put a smile on the player’s face. Come back tomorrow for Part 2 of the Best of Gaming 2012 from the Bitcast. Have a safe and happy New Year tonight too! Hi there. Today use of msn. That is a actually intelligently prepared content. I will be sure to take a note of the idea as well as get back to master added of your useful facts. Appreciate your article. We’ll unquestionably give back.